Sheriff’s Race: And, They’re Off! 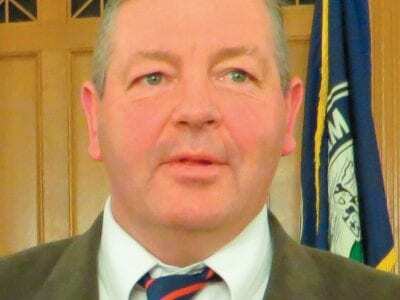 The race for Putnam sheriff will be a two-man affair in November now that petitions have been filed with the Board of Elections.Deputy Elections Commissioner Nancy Quis reported Friday afternoon that incumbent Sheriff Don Smith and his challenger Ke… Please login below or purchase a subscription to the Putnam County Courier to access this content. Putnam County is offering its employees an early retirement incentive program where municipal workers with at least 10 years of full-time employment will be able to retire this year with incentive benefits. The legislature approved the measure at la… Please login below or purchase a subscription to the Putnam County Courier to access this content. 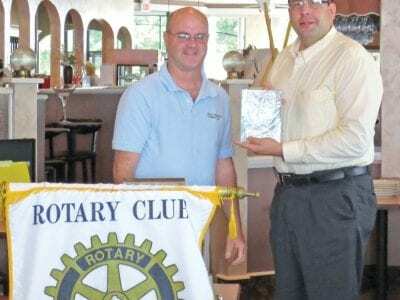 Earle Bellows receives a plaque from James Meyer as Rotarian of the Year at last week’s Mahopac Rotary meeting. Earle Bellows has been named as Rotarian of the Year by the Lake Mahopac Rotary Club. 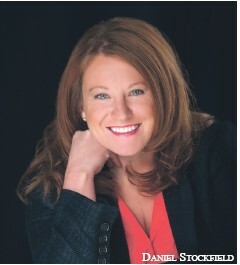 Rotary President James Meyer congratulated Bel… Please login below or purchase a subscription to the Putnam County Courier to access this content. Richard Othmer, Legislature chairman, supported the limits. Putnam County legislators will be able to serve only four terms in office following action taken at its July 2 monthly meeting. In May 2011, the legislature enacted term limits by approving … Please login below or purchase a subscription to the Putnam County Courier to access this content. Putnam’s alarming rate of foreclosure actions continues to rise at a fast pace. 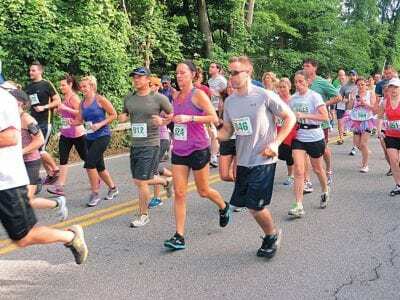 First Deputy County Clerk Michael Bartolotti reported last week 289 foreclosures had been initiated for the first six months of 2013—more than double the 140… Please login below or purchase a subscription to the Putnam County Courier to access this content. Above: Members of Putnam County 4-H provide face painting at Saturday’s get-together. 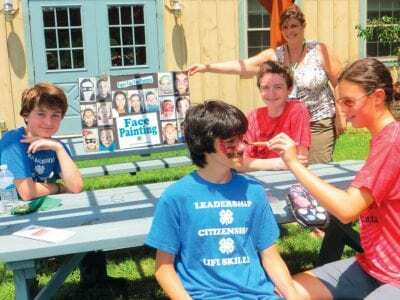 Those pictured include Patrick and Robert Salerno, both from Mahopac; 4-H Coordinator Deena Altavilla; Cooper Aquillino of Mahopac who gets his faced painted … Please login below or purchase a subscription to the Putnam County Courier to access this content. FROM THE CHAMBER The proposed sales tax holiday on clothing and footwear for 2013 has hit a snag, apparently because some in the State Assembly fear it would cause competition between neighboring counties as opposed to attracting business into the st… Please login below or purchase a subscription to the Putnam County Courier to access this content. When it comes to illegal drug trafficking in Putnam County, police are taking a zero tolerance view. Cops on the state, county, town and village levels have rounded up 56 individuals during the past two months in an effort to eradicate the contraban… Please login below or purchase a subscription to the Putnam County Courier to access this content.